June 26, 2018, 5:00 p.m.
As Canada Day approaches on July 1, it seems the relationship between America and its neighbor to the north is going through a bit of a rough patch. Still, a recent poll shows that 48% of US consumers consider Canada an ally of the United States, while an additional 31% consider the country friendly to the US. 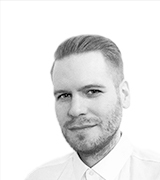 As for individual Canadians, an examination of dozens of famous athletes, celebrities, and musicians reveals that actor and activist Michael J. Fox is the most popular among US adults, according to data from YouGov Ratings. In total, 73% of Americans have a positive opinion of the man who played Marty McFly in the Back To The Future trilogy. Following Fox comes Keanu Reeves (67%), Dan Aykroyd (63%), and Jim Carrey (62%). On a list of the top 25 most popular Canadians, Celine Dion (58%) and Shania Twain (56%) are the only women. 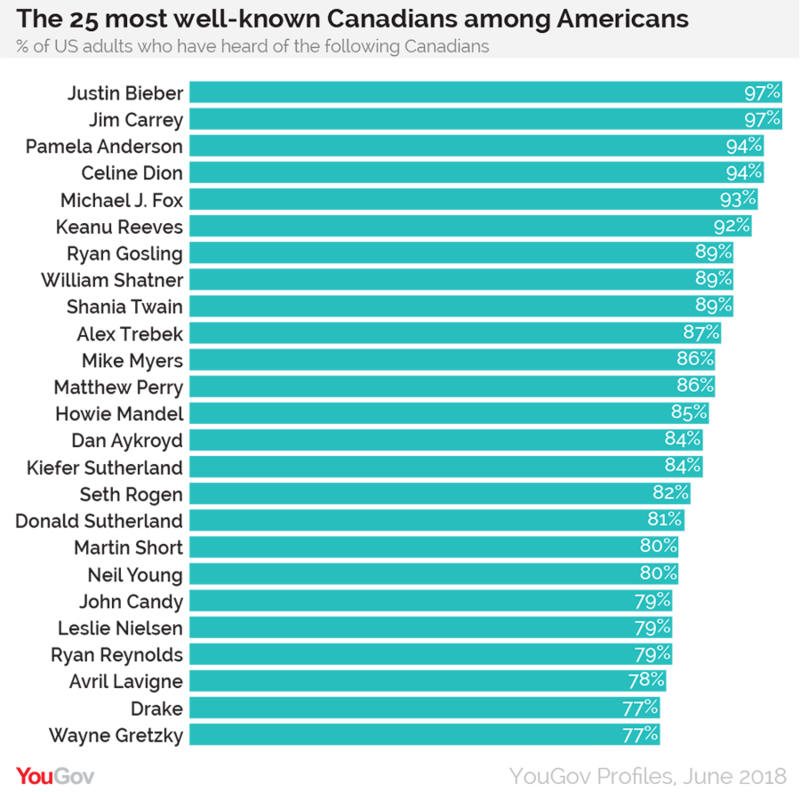 When it comes to the most well-known Canadians — but not necessarily the most liked — Justin Bieber and Jim Carrey top the list. Overall, 97% of US adults report having heard of Bieber and Carrey. Pamela Anderson (94%) and Celine Dion (94%) tie for second place, followed by Fox (93%). 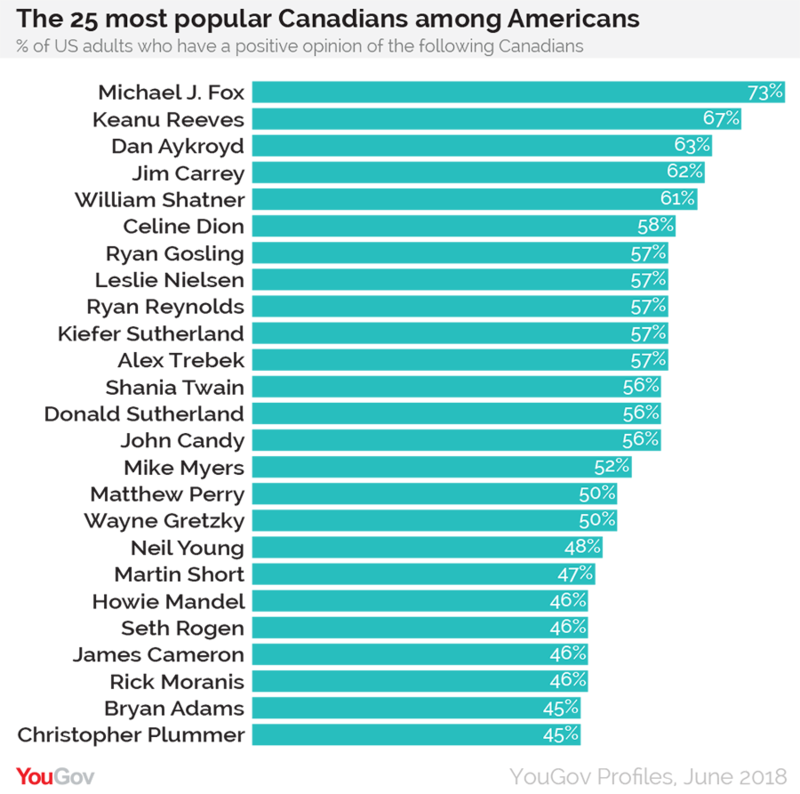 Again, much like the list of most popular Canadians, the list of most well-known Canadians contains a large amount of male actors, from William Shatner (89%) to Leslie Nielsen (79%) to the two Ryan&apos;s: Ryan Gosling (89%) and Ryan Reynolds (79%).